Wind in the Willows is a jewel of a mare and we are thrilled to have her. 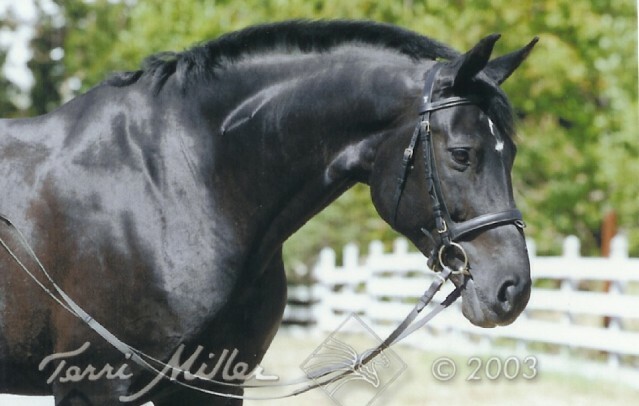 She is a 17.1hh black Hanoverian mare by Walter Scott/Wildfang and out of Sashay/Sender. 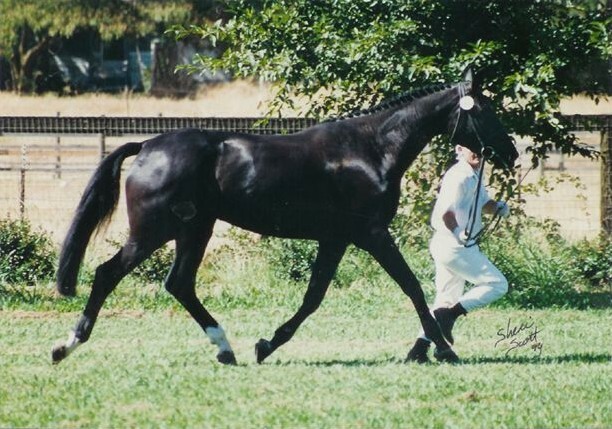 These are old and classic dressage lines. She has 8 SPS mares in her 4 generation pedigree!!! Willow has top movement, flawless conformation, and a quiet, affectionate temperment. Willow has had 1 fabulous filly (Whiz) by Wonderful. 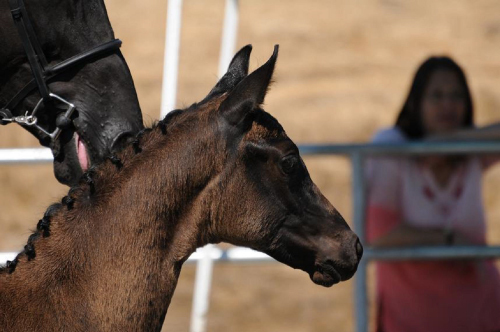 2009- Bijoux de Bravo- National Champion filly!